... Or rather, the Brown Betty. 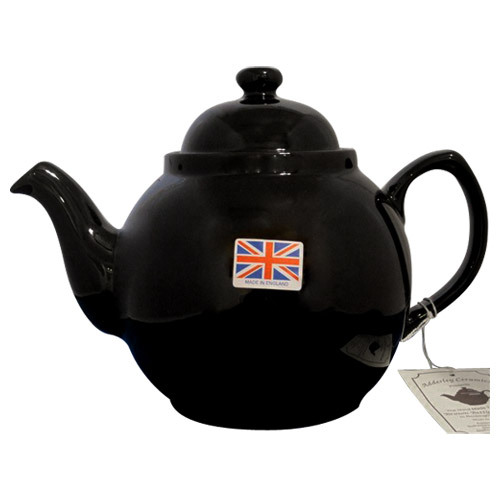 This will be my new teapot for heating water for my coffee. It's supposed to be a little heavier than my red one, and that means more thermal mass, and better heat retention. The spout is supposed to be better for pouring. Non-dripping spout would be pretty nice to have. Hopefully it lives up to the hype. It's made of red terra-cotta clay, which is supposed to retain heat better than white clay stoneware. Hope it's true. I was able to buy an extra lid for it. Given my penchant for breaking teapot lids, this is a major selling-point. I'll let you know how it pans out when it arrives.